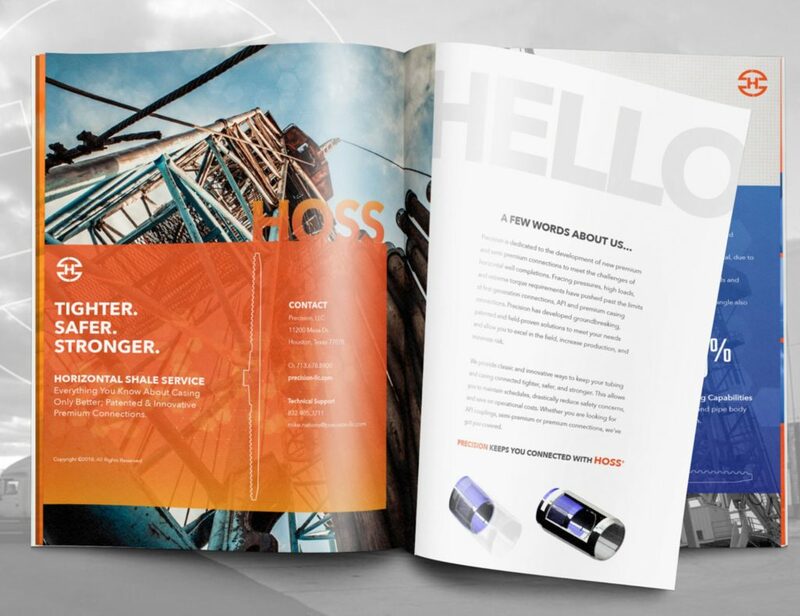 After several years of research, engineering and rigorous field testing, Precision released the HOSS Premium Connection, a groundbreaking product that was inspired by previous product successes by our partners in the oil and gas industry. The HOSS was specifically designed for horizontal drilling shale services and utilizes the best-in-class engineering principles to withstand the higher torques, severe bends, and intense pressures that exist uniquely in hydraulic fracking environments. One of the primary concerns that we’ve heard from our partners in the oil business is the devastating effects of when couplings fail. For this reason, we’ve developed a product that delivers better over-torque characteristics and low hoop stress – so in salty, acidic or sour environments – the HOSS premium connection will stay intact. Another question we commonly receive is how quickly connections can be safely installed on the frac string without compromising the strength of the overall operation. “Safety is at the core of all of our OCTG products, and the HOSS exemplifies this priority in its design and execution,” says Mike Nations, Managing Engineer at Precision. “We designed this premium connection with a patented reverse angle pin nose to box shoulder contact, allowing for higher bending loads and structural loads, all the time while maintaining a safe seal,” he says. Made of materials stronger than most casings, the HOSS Premium connection is the most advanced premium connection serving the OCTG market today, because its patented seal area utilizes key engineering principles to ensure that the seal is trapped strongly, to prevent high torque pin nose collapse. The reverse angle of the patented threading system also counteracts the tapered angle and load flank experienced in most fracking operations. This allows for an overall tighter, safer, and stronger connection than before – bringing peace of mind to oil and gas operations knowing that they have the best in class solution for maximizing profit and minimizing project time. With the new HOSS® premium connection, you get low hoop stresses in critical areas to resist fatigue from rotating and bending under high torque, and 100% tensile and compressive strength on thicker high collapse pipe. Contact Precision today for more information about how the HOSS can drastically improve your well completion times and help you achieve your profit goals.